With the cast & crew finalized, the shoot will start in March 2019. 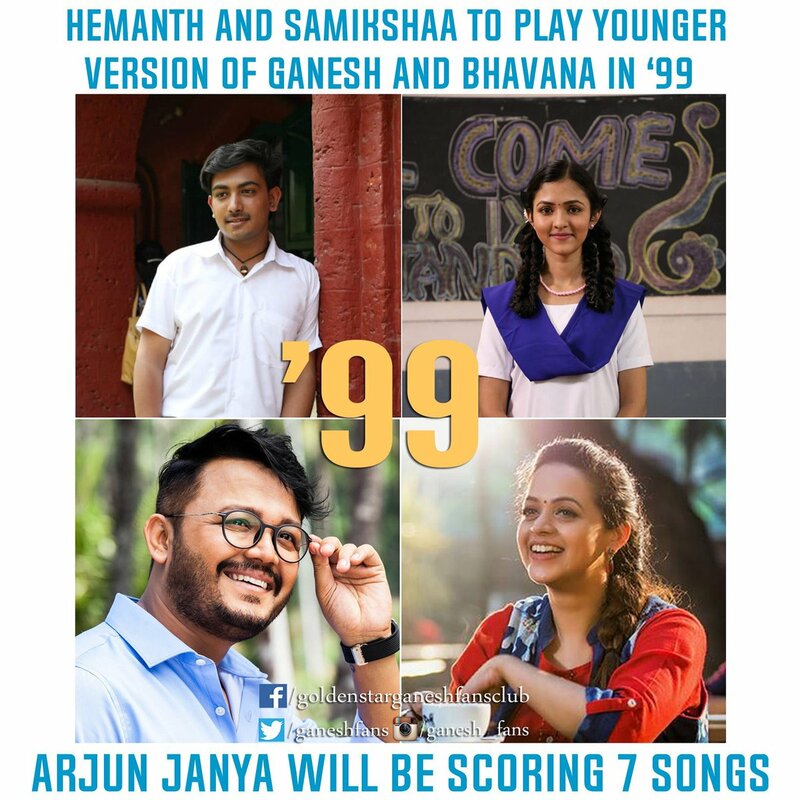 FYI, the Kannada remake is titled 99 & features Golden Star Ganesh & Bhavana in the lead. The shoot began in December 2018 & aiming for March 2019 release. ​​​​​​A small trivia on 96 theatrical run since I shared the 100 days poster. 96 released in theaters on 4th October 2018. Despite running to packed houses, the film had it's world Television Premiere on 6th November 2018. Trisha Krishnan & others from team strongly opposed for the TV telecast within a month of it's release but Sun Network which owned the rights didn't budge & went ahead telecasting on Diwali evening special premiere. Inspite of having TV premiere, 96 continued to have a glorious run against top films like Vijay's Sarkar & Rajinikanth's 2.0. On January 11, the film completed it's 100 days run in theaters. A rare feat achieved in recent times. Why. Why they are so eager to ruin this movie. I have seen it with subtitles. What a beautiful movie. I mean how those 2 can fill in the shoes of Vijay sethupati and Trisha. I like samantha. But with due respect she is below avg. Actress. Well atleast they got C Prem Kumar who directed Tamil original to direct the Tamil remake. Unlike Kannada where it's Preetham Gubbi who is directing. Just because he wrote Mungaru Male back in 2006, industry blindly tolerated him as director till date. 96 is not an easy film to make. Box Office prospects in Telugu is too shaky. They should've left the original alone but then you can't expect that from the film industry. All you can do is seriously wish them not ruin the film even though they can't match the original. This movie is a masterpiece. My mind is still stick with this film lol. I feel this film shouldnt be remade. Hope they don't ruin it. Cast is good. But I think they needed more mature actors. Let's see. Childhood love/1st love is always special for every one. It taps the nerves of every lovers. Classic and best movie of last year for me. Official Trailer of 24 (Tamil & Telugu) *ing Suriya, Samantha Ruth Prabhu & Nithya Menen. Check out the trailer of Raju Garu Gadhi 2 starring Nagarjuna & Samantha Ruth Prabhu. Film to release on 13th Oct 2017. Check out the racy trailer of 10 Endrathukulla (with Eng subtitles) *ing Vikram & Samantha Ruth Prabhu, produced by A.R.Murugadoss & Fox Star Studios.